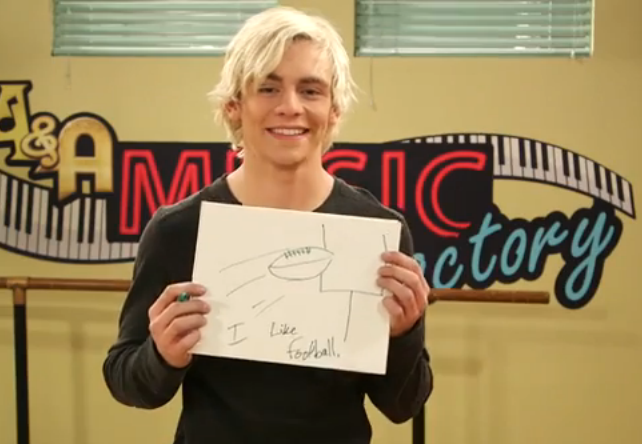 VIDEO: ‘Austin & Ally’ Cast Creates Support Signs For Rose Bowl Teams! Disney Channel’s Austin & Ally cast members — Calum Worthy, Ross Lynch and Laura Marano — are totally in the spirit of football! The three Disney Channel stars showed off what would be their own signs in support of the teams competing in the Rose Bowl which airs on January 1st on ESPN! Check out what their signs look like in the video below and don’t forget to comment and let us know what your sign would say! 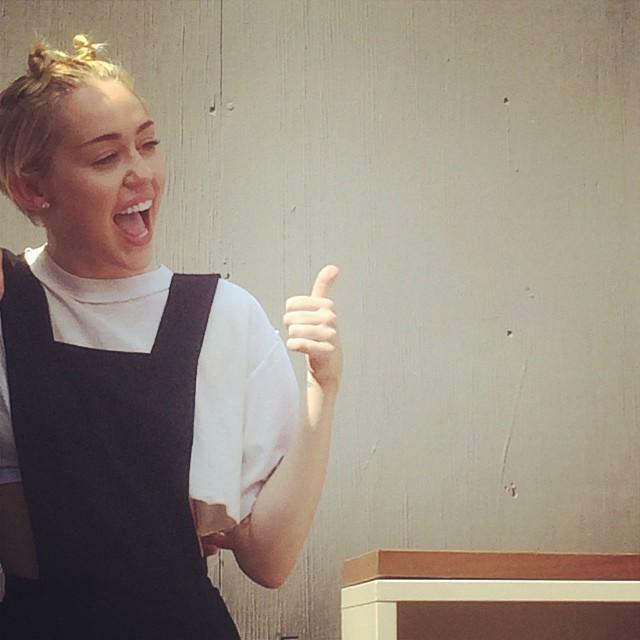 Miley Cyrus Starts “Dear Jesse” Project, Asks Fans To Join In! – Details Here! As we all remember, Miley Cyrus brought homeless youth Jesse Helt as her date to this year’s MTV Video Music Awards where he made a touching speech that got to all of our hearts. Unfortunately, Jesse was sadly arrested shortly there after, but Miley is doing all she can to help Jesse as well as millions of other homeless youth in the US and worldwide who struggle. We think that is a very sweet and thoughtful way to send your love and support to Jesse and spread awareness about homeless youth and their need for assistance. Be sure to send in your letters and keep all people dealing with the the difficulty of homeless in your thoughts! 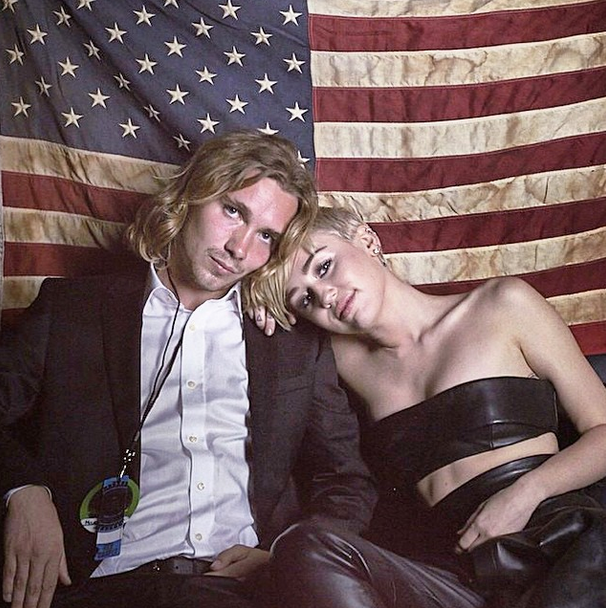 Way to go Miley, and Jesse, our thoughts are with you! Katherine McNamara attended the 2nd annual BEAT MS Dance Walk event in Pacific Palisades, California yesterday. Katherine rocked a bright orange tee, which was perfect to represent the event, with jeans & white tennies. The BEAT Dance and the MS Society bring together artists, dancers and people who want to do something about MS now for the 2nd annual Dance Walk! Check out more of Katherine enjoying her day at the event and raising awareness for MS below!. Way to go Katherine! Miley Cyrus took time out from her busy schedule to support a wonderful non-profit organization called ‘My Friend’s Place.’ MFP charity helps homeless youth have a brighter future. Miley took to her Instagram to show support for ‘My Friend’s Place’ and even posed with some of the clothing donations and hung out at their offices in LA. Check out a few more great photos of Miley at MFP below! 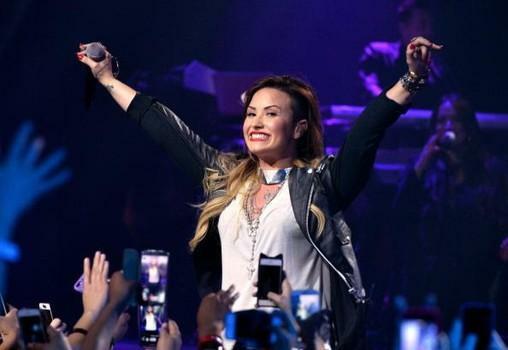 Demi Lovato Takes The ALS Ice Bucket Challenge! – Clip Here! Demi Lovato showed her support for spreading awareness of ALS (Lou Gehrig’s disease) by doing the ice bucket challenge with fans in New York. Demi allowed 5 lucky fans to pour a bucket of ice water on her head. Check out the Instagram video below! It looks pretty chilly, but it’s to raise awareness for such an important cause! Demi is a trooper!! Demi Lovato after doing the ALS challenge with fans. Alex Angelo Joins The Mission Of “Project Backpack” In Cincinnati– Details Here! Since 2006, Kiss 107 and Fox 19 have helped make sure back to school students in Cincinnati have everything they need to start a new school year. 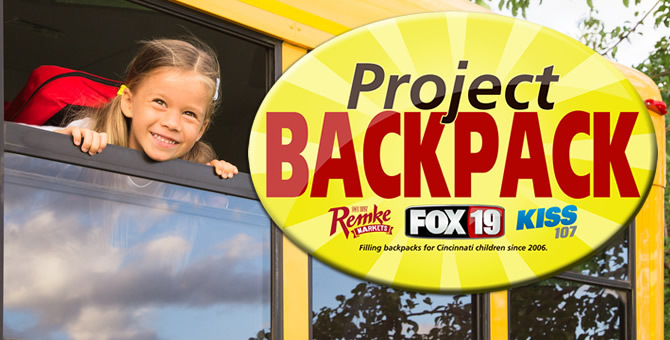 Named Project Backpack, their goal is to “Fill The Bus” with donations of new school supplies such as pens, pencils, crayons, tissues and more. This great event will be held at Rockwood Commons from 8 a.m. until noon. Mixing a little for entertainment is none other than Radio Disney’s Saturday Night Party DJ and singer, Alex Angelo! He’ll be there beginning at 9 a.m. to support the event which you won’t want to miss it! You’ll also enjoy Renaissance Fair cast members, NKU Dance Team and the Hoxworth Blood Mobile Bus. The kids will also love the Cincinnati Circus Company’s stilt walkers making balloon animals. So, plan your Monday morning at the Rockwood Commons and make a donation! For more information, head to the Project Backpack website here! 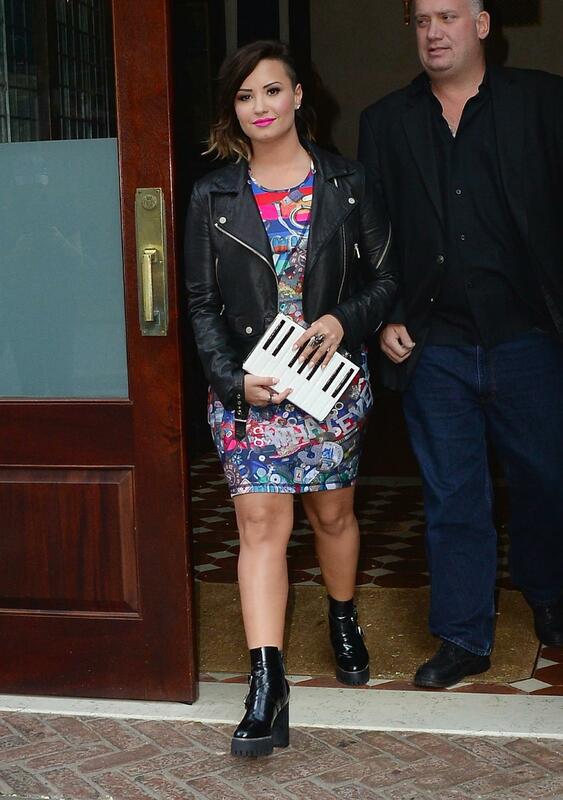 Demi Lovato Stands Up For The LGBT Community – Read Her Full Post Here!